I’m Ed Smith, a North Highlands personal injury attorney. Pain and suffering in a personal injury case is an important component of the claim. Yet, for many clients, the term is not well understood. 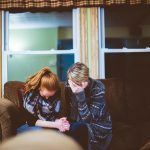 Let’s take a look at the issue of pain and suffering, ways to determine its impact and how it might affect your personal injury claim. In general, pain and suffering are broken down into two separate areas: physical and mental. Both emanate from the trauma of an accident and the physical and psychological injury it causes. 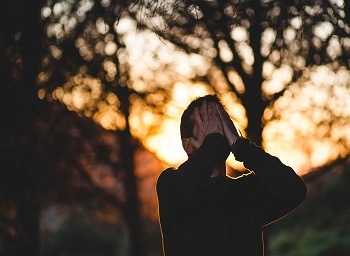 Damages due to pain and suffering are called noneconomic damages in contrast to the economic damages a plaintiff suffers such as lost wages and medical expenses. 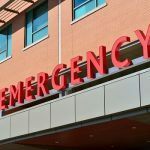 Noneconomic damages are not as easily quantified and depend largely on the way the accident impacted the injured person. Noneconomic damages are different from one case to another and compensation is often left to a jury to decide. The physical pain a person suffers after an accident may be temporary or persistent. Injuries such as fractured bones, traumatic brain injury and spinal cord injury cause not just current but long-term physical pain and loss of function. They can lead to an inability to engage in activities commonly pursued before the accident. In more severe cases, a wider inability to function on the same level as before the accident occurs. The effect pain and suffering has on each individual is subjective. For instance, the effects of pain vary from one person to another since pain tolerance is different for each person. Also, the type of injury and the impact it has on an individual differs. For example, a fractured knee can place some degree of limitation on the average person, but the same injury can end the career of a basketball player. The emotional and mental response to the injury might be more significant for the person who has lost a promising future as a professional basketball player. Because of the lack of concrete evidence to prove the degree of pain and suffering, your personal injury attorney will often rely on other proof. For instance, he or she may present testimony from medical expert witnesses that delves into the physical impact of the injury and its implications in the future. Other helpful evidence includes reports from therapists and a ledger of the person’s appointments. Pain and suffering is a common entity in car and truck accidents, slips and falls, brain trauma, and defective products. It is included in damages for wrongful deaths, some intentional injuries and in medical malpractice cases. In California, there are some restrictions on the amount of pain and suffering compensation a plaintiff can receive. For instance, medical malpractice compensation is limited to $250,000 for pain and suffering. 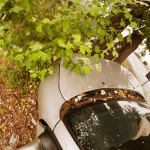 Also, damages for pain and suffering are not allowed if the injured party was impaired at the time of the accident and operating a motor vehicle or if the car was uninsured. I’m Ed Smith, a North Highlands personal injury attorney. If you have been injured in an accident, you have the right to be compensated for damages. Reach out to me at (916) 921-6400 locally and (800) 404-5400 long distance for friendly and free advice. 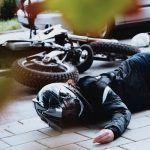 I’ve helped residents of North Highlands with bicycle accidents and wrongful death claims as well as traumatic brain injuries. You may want to know more about my practice from other clients and my peers. Go to Avvo, Yelp and Google for this information. You can also check out my settlements and verdicts page to see how other cases were resolved. I belong to the Million Dollar Advocates. This is a forum of trial attorneys with settlements and verdicts of $1 million for clients. You are visiting AutoAccident.com, the website I own and founded. Stay here a bit if you can, and take a look at other topics in personal injury.